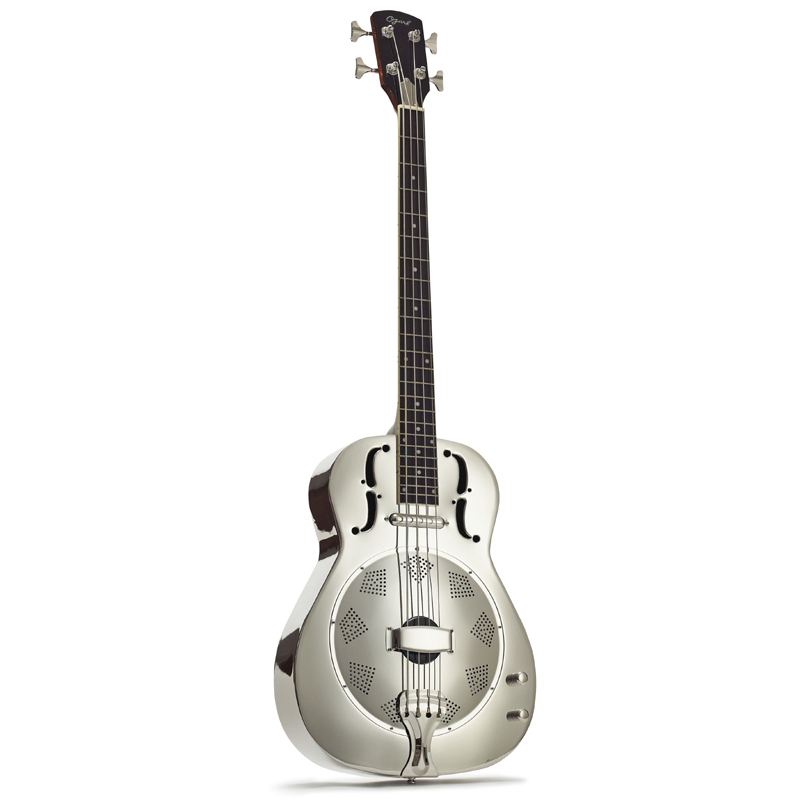 The Ozark bass resonator guitar is a great model for bass players seeking a different sound. With a nickel plated steel body, this biscuit design resonator delivers plenty of projection and a powerful sound complemented by a single coil 'lipstick' style pickup with volume and tone controls. A mahogany neck with easy-to-play profile and 23-fret fingerboard allows a full range of playing and movement. There is plenty of power and raw bass sound whether playing unplugged or using the amplification. The Ozark bass resonator has a short bass scale length (754mm). Ozark is the choice of established musicians as well as beginners and professionals, who all choose Ozark guitars, mandolins, banjos and bouzoukis for their excellent quality and superb value.